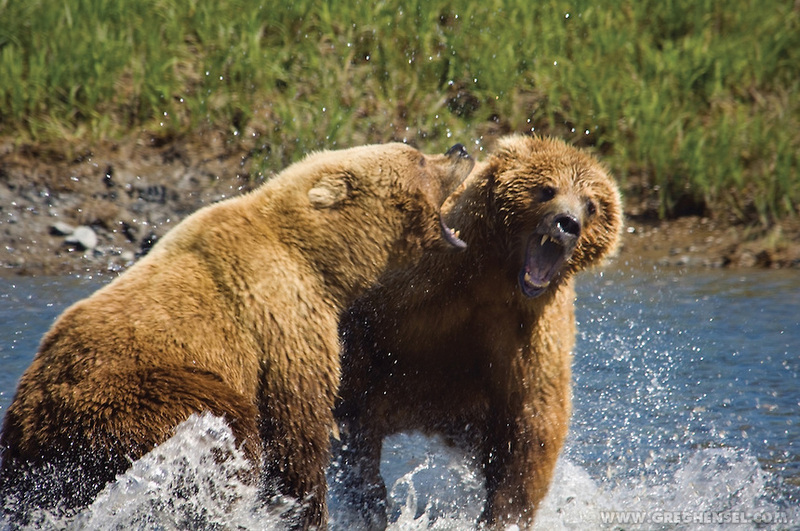 If you were to choose between an angry silverback and angry grizzly bear? Discussion in 'Mayberry Lounge' started by mikezismike, Aug 28, 2015. If you were stuck between an angry Silverback Gorilla or an angry Grizzly Bear.. what animal will you choose not to piss off and do everything to stay away from it? Doesn't matter, I'd kill both with my bare hands. Grizzly bear would be the one I would not want to make mad. Not only is it huge but aren't bears the ones that will just eat something alive and don't really bother to kill it outright because nothing really poses a threat to it? The Grizzly bear is much larger and has more tools to get the job done. The sheer size difference alone doesn't make this a very good matchup. Do I have Bonds and McGwire with me? I'd KO both of those cans with my extensive UFC training. Then I'd drop them some spare Reebok kits onto their unconscious bodies due to feeling bad. I think i would rather fight a bear. 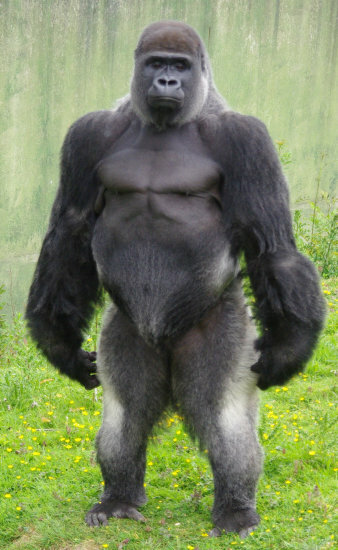 Id take one full grown Grizzly Bear over 3 Silverback Gorillas so yeah, give me the Gorilla and ill touch him with my jab. does the gorilla have bats? 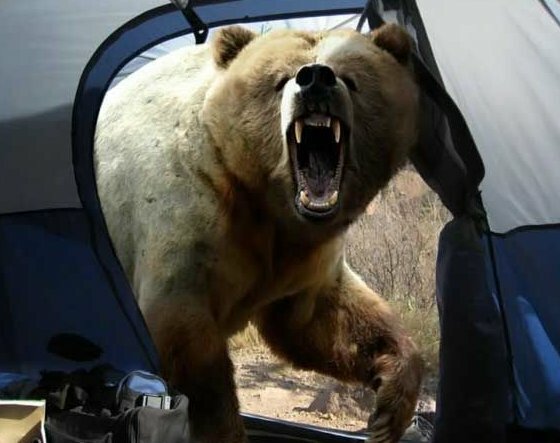 The bear will start eating you while you're all maimed without even bothering to kill you. 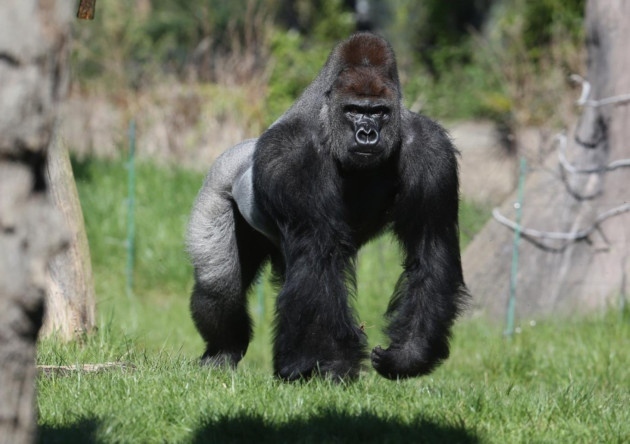 I've never seen anything about a gorilla killing anyone eva, they're vegetarians as well so less aggressive than say chimps, I think he'd just rough you up a little and teach you a lesson. I'd be more afraid of the gorilla I think. I would think they would be more aggressive towards people. Grizzlies are usually big softies. Are you insane? A grizzly can run 35 MPH. You aren't juking a grizzly. 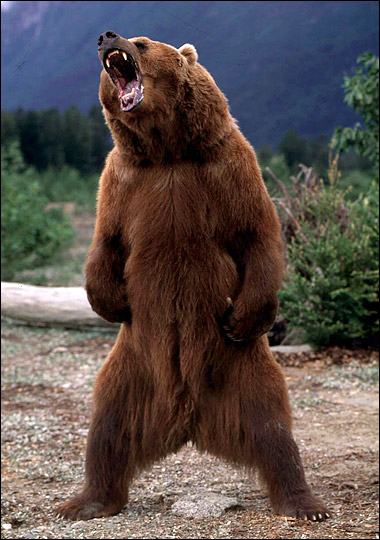 Stand your ground with the grizzly and he'll tear you apart anyways. I'd rather piss off an Silverback. Don't get me wrong, if you tick off either one and they are determined to kill you, they will. But Gorillas by nature are actually very docile. 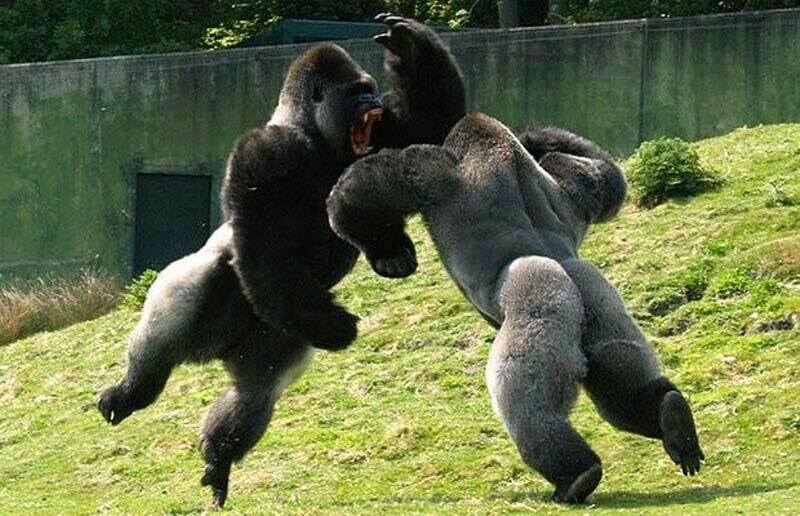 And even when it comes to violence, they will usually posture and do a little performance to intimidate which is the gorilla version of "Come at me Bro." And So long as you take the role of one down and act intimidated and uninterested in accepting the challenge, the Silverback will usually leave it at that. So it is much more likely to walk away unscathed with a silverback.